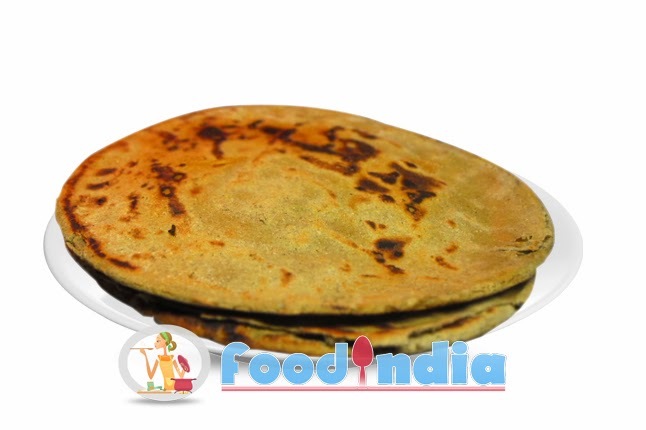 Bajri Rotla is famous traditional village recipe and it’s a thick soft roti of millets flour. Rotla, jiggery, ghee and baingan bharta is great combination of meal. The millet flour is rich in proteins, and also a source of iron, calcium. Step 1: Mix Millets flour and salt. Step 2: Add water and make soft dough. Step 3: Make small balls from dough. Step 4: Heat tawa in gas. Step 5: Make round little thick shape rotla on hands using fingers. Step 6: Put this rotla in tawa. Step 7: Cook from both side. Step 8: Apply Ghee on rotla and serve with jiggery. Foodie loved to try Indian food recipes and cooking, techno geek and passionate about the awe-inspiring things around me. Indian Food Recipe Tips © 2013. All Rights Reserved.